Attic Ventilation | Water Kills Houses | Eby Exteriors, Inc. It seems as though at least a couple of times every year a homeowner calls us to repair a leak, and after checking all of the possible exterior sources, we determine that the source of the moisture is actually some type of condensation taking place INSIDE. Almost always the condensation occurs in the attic/rafters of a home and is caused by improper attic ventilation. Finding a leak caused by condensation can be a blessing in disguise, however, because it alerts a homeowner to the need for properly venting their attic. Many homes have some type of condensation occurring and they never realize it because the moisture never actually shows up outside of the attic. Instead, over time, it collects on the underside of roof panels and rafters, feeds mold, and slowly rots away the underside of their roof decking. It can also deteriorate attic ceiling insulation which only exacerbates the problem because more warm, moist air from the house flows freely into the unventilated attic. This type of problem is typically found in homes that are older than 30 years because most of them were built without the awareness and engineering required to make sure the attic was properly vented. Some of them don’t have problems because they simply weren’t built as “air-tight” as today’s houses and they have a lot of “natural” ventilation. 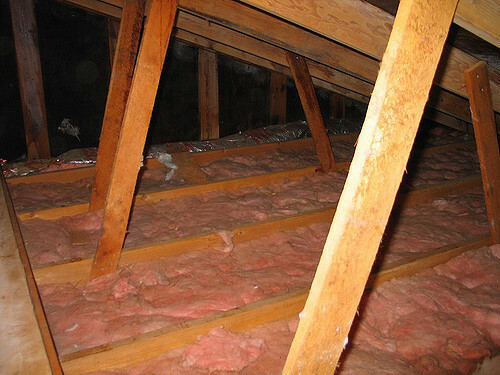 However, many older homes have very stuffy attics that are susceptible to leaks caused by condensation. We also do see the problem in some newer homes due to cheap building practices and/or poor craftsmanship. Recently we found a bathroom fan in a home that was leaking profusely every time it rained. This home was only a few years old. Turns out the problem was happening because the vent pipe from the bathroom to the roof above was about 30 feet long with multiple elbows. So when it was raining (humidity was very high), and the temperatures were below about 40 degrees, the warm, moist air from the bathroom condensed as it traveled through the long vent pipe that got cooler the farther it went from the bathroom. This moisture would then run back down the pipe and directly into the bathroom. 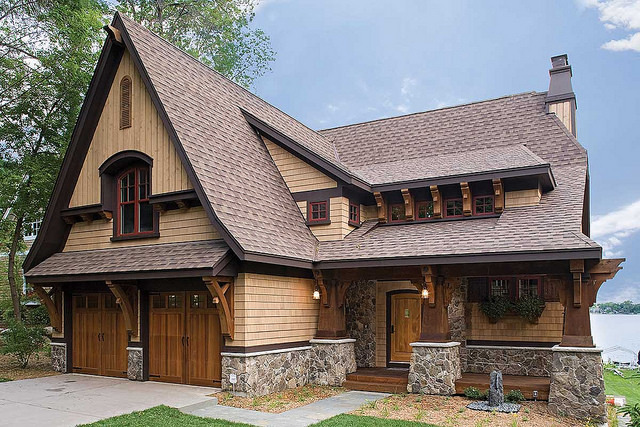 Further, many newer homes are designed with multiple roof lines and vaulted ceiling which often make it difficult to properly engineer air flow in an attic or rafter system. Ultimately, the best attic ventilation system is one with a well-insulated ceiling that prevents minimal escape of warm, moist air from a house into the attic. Secondly, proper ventilation needs to be engineered into the attic or rafters meaning air is allowed to be drawn into the eaves of an attic, freely flow along the roof line, and then exit out the peak at the “ridge vent.” Sometimes this isn’t possible for a number of reasons. If so then the next best thing is to have a side wall or roof vent fan installed. These can be solar-powered or hard-wired and can be thermostat controlled. The easiest thing any homeowner can do is simply take a peak in their attic. Look around at your insulation, roof panels, and attic walls. Take note of any signs of moisture. If you see some there is a good chance that your attic isn’t venting like it should. 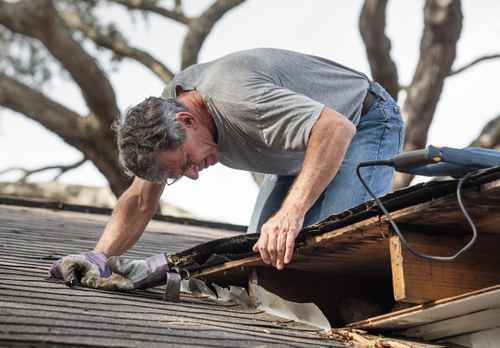 Next take a look toward the eaves of your home (where the gutters are located). It’s probably a good thing if you see daylight there. That means that air is able to be drawn into the attic, particularly if you a have an attic fan or a ridge vent system. (Ridge vent systems are very ineffective without air being able to be drawn in through the eaves). If you have any reason to suspect that you have ventilation problems in your home the next thing to do would be to call a qualified roofer, contractor, or home inspector and have them assess your situation. The GOOD NEWS is that attic ventilation problems can often be solved relatively inexpensively! Sometimes it’s as simple as adding a vent fan to the attic or cutting in a new ridge vent system. Both of these can usually be done for $1,000 or less. Sometimes the solution involves adding more insulation to your attic ceiling. Besides preventing moisture damage, both of these solutions have great, cost-saving side benefits. Properly venting your attic keeps the underside of your roof much cooler which can extend the life of your roof. Heat is the enemy of roof shingles. In fact, most shingle manufacturers will not offer a warranty on their product if the attic is not properly vented. Losing heat through the roof is the number one source of heat loss in any home, so increasing your attic ceiling insulation will only save you money in the long run. It’ll also help you to feel cooler in the summer and warmer in the winter without spending as much on energy. This is the final installation of our series on Water Kills Houses. The 7 key areas that unseen water may be attacking your home include the roof, basement and foundation, gutter and downspouts, doors, windows, exterior cladding and finally ventilation. To read all the Water Kills Houses series, be sure to check out our blog. "Our experience with Eby Exteriors has been ideal. Not only did they provide quality workmanship and attention to detail, but they also rendered continuous communication and professionalism. Eby recognized the significance of our investment in the project and took every step to ensure that we were satisfied which is a sign of a company with a strong commitment to their customers (and this is rare to find such excellence). We would highly recommend Eby Exteriors. Much effort was exerted to ensure that the additions naturally flowed with the rest of our home. The culmination of the project provided beautiful and practical living space to our home as well as piece of mind."